What Can RM1 Buy You These Days? On This M'sian Fintech App, The Answer Is Gold. As a newly-minted Fully Fledged Adult™, my interest in investments is recent and very seriously considered. I asked around and got my colleagues to name all the investments they could think of: property, stocks, insurance, collectibles, branded items and, as the title implies, gold. However, as an average person on the street, where do you even start? Launched in April 2017, HelloGold wants to become the marketplace to buy, sell and store gold. It’s a Fintech app that digitises the entire gold buying and selling process. Quote from Robin Lee, CEO of HelloGold. Once the CFO of the World Gold Council and the principal accounting officer for the world’s largest private gold fund, Robin saw how investors and big corporate companies use gold to enhance their investment returns and as a form of collateral. Robin also predicts that the stock market is going to experience another major crash in the next few upcoming years, which will increase the value of gold. 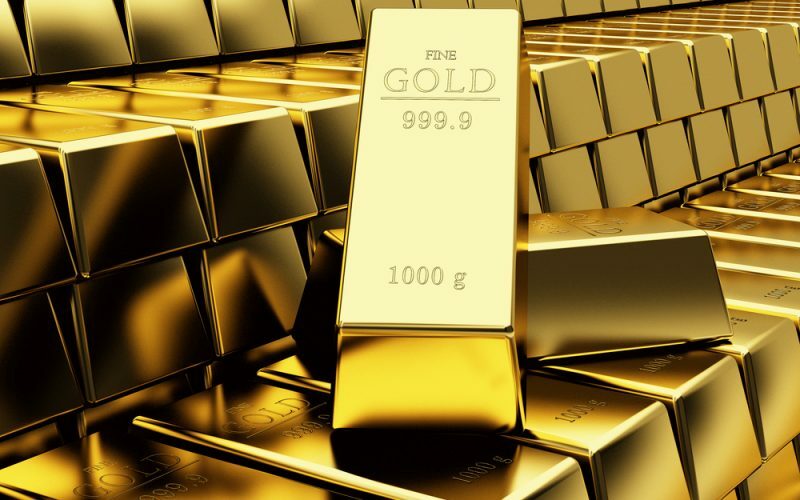 HelloGold was built to help even the basic layman consumer tap into the gold investment trade. This in turn will help the general public to overcome financial challenges that are prevalent in emerging markets like Malaysia. He said that he sees how Asians, especially Malaysians, bank so much of their savings on money, which depreciates in time. 42% of household savings by Malaysians are held in cash. Gold serves as a way to save money, and also as a more substantial collateral for loans other than the usual credit check method. Use of the app is free, but HelloGold charges a transaction fee for each purchase made. And because of their low minimum transaction, a customer can even buy RM1 worth of gold in a single transaction, if they wanted to (I tried, and succeeded). Everything from buying, handling, selling, and checking the value of gold can all be done in the app. In fact, HelloGold is actually the first online gold platform to be endorsed as so by the Syariah Supervisory Board of Amanie Advisors. Here’s a full Hello Gold article about the minutia of that. There’re lots of ways to invest in gold, and Hello Gold uses the most typical method—actual, physical gold bullion. The gold is stored in a safe in Singapore by a third party, Bullion Star International (incidentally, also the people they buy gold from). Since you’re trading in physical gold, HelloGold also charges a 2% annual fee to store it. The first question: how safe is it? The simple and clean design of the app puts a happy front to a fairly involved sign-up process. This included requests for my full name, I.C. number, a verification code sent for that, the front and back of my I.C., and then a verification selfie to match with the picture on my I.C. It’s only after the selfie-verification that I’m led to the actual gold investing section. In terms of price, HelloGold states that their spreads (the difference between buying and selling prices) are comparable to the ones customers would find if they buy FX (Foreign Exchange) at their local banks. Meanwhile, according to HelloGold, getting yourself an actual, physical PAMP bar (a brand of bullion bar) will cost about RM40 more than what HelloGold charges for. Every day, Bullion Star International sends Hello Gold bar lists showing what they hold in their vault for HelloGold’s customers. This is published daily on their website. On top of that, HelloGold also publishes a customer list of each customer and how much gold they hold in HelloGold, arranged by number to protect the users’ identity. This customer list is generated based on HelloGold’s Ethereum blockchain ledger. Blockchain is a way to store records of transactions and ownerships. It’s currently know for its high security, with experts claiming that it’s almost impossible to erase or tamper with. Once a transaction is recorded, it stays for good and can only be built upon by a new transaction. An external independent audit firm does inventory audit of all of the gold bars stored in the vault. These are counted, examined and tested to ensure that all bought gold is of the same standard as others in the Bullion Star International’s stock list. But if you’d rather just see the gold for yourself, they can be shipped to you within 3–5 business days. You can also arrange a viewing of the gold bars in their vault in Singapore for SGD99. It’s also insured, so if anything happens, the bullion will be covered at full replacement value. For people who are worried about the validity and legitimacy of the app, HelloGold already has signed partnerships with major players such as Aeon Credit and they count FinLab, a UOB joint venture as one of their investors. When it comes to investment security, gold doesn’t have a clean slate. Between stock market history and certain gold investment schemes that were shut down in Malaysia, it wouldn’t be surprising if the public were more cautious about buying into this. You can invest as low or as high as you want (unlike property). The value doesn’t depend on the rise and fall of any currency (think of the strengthening dollar after Trump was elected, and the fall of the ringgit after 1MDB and oil prices). Of course, no investment is perfect. Gold prices can be volatile. Most of the time, the price of gold rising and falling by 15% in a one-year period is completely normal. Gold doesn’t produce passive income, like property, company investments & ASB. Most investors recommend that you diversify your investments and not put all your eggs in one basket. Here’s what an expert has to say about gold. Gold investing in itself is not new, but like many other industries, moving online and in-app is the way for it to continue to remain relevant and reach a younger audience. HelloGold is fairly new, but it’s already looking to continue its growth. “We are planning to introduce a regular savings programme and to make planned improvements to the user experience,” shared Robin. The HelloGold app is available on both iOS and Android.